Our all time Pakistani singer and heartthrob Atif Aslam is once again on a roll. Having conquered the nation with his exceptional vocals it is no surprise that the star is a favourite across the border as well. Rangreza & Arth Trailer Review: Music In The Air! 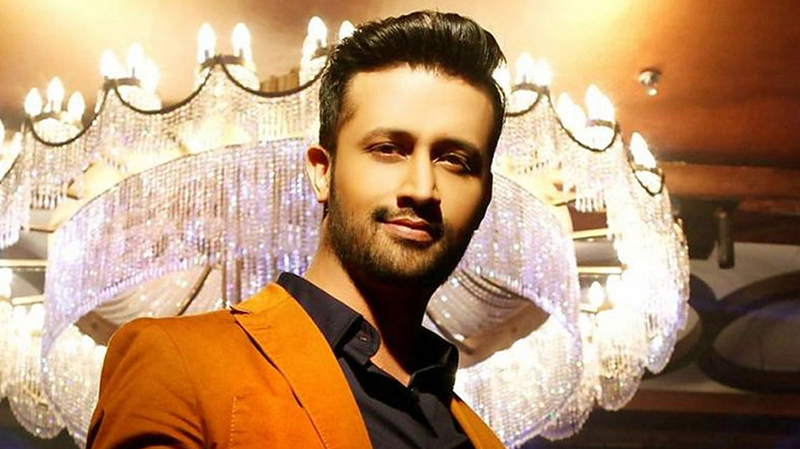 According to recent buzz Atif Aslam has yet another phenomenal track coming up and this time it is for an acclaimed Bollywood flick. Titled Qarib Qarib Singlle the film will star the Indian national award wining actor Irrfan Khan. Considering the recent success of Hindi Medium this upcoming film is bound to be another chart buster. Atif Aslam’s song from this movie titled Hoor is still trending as a top favourite on our playlist. Just when we thought things couldn’t get even better the news of Atif’s upcoming track has been announced. According to Times of India Irrfan will launch the new song featuring Atif Aslam in an intriguing way in Mumbai’s cafe ‘Love and Latte’. The song titled Jaane De to be sing by the Pakistani singer has been written by Raj Shekhar and composed by Vishal Mishra. Atif Aslam has become quite a favourite in Bollywood a while back and set up an unprecedented career for himself. Having sung iconic tracks in the famous Indian films like Bas Ek Pal, Race 2, Badlapur, A Flying Jatt and countless more. Fans have been obsessing over the singer’s talent for years and we just cannot get enough of this wonderful singer. For more news and updates stay tuned on VeryFilmi.